Anyway, I want to show you that with the same pattern can make different bears... it's not just for Remembrance Day. 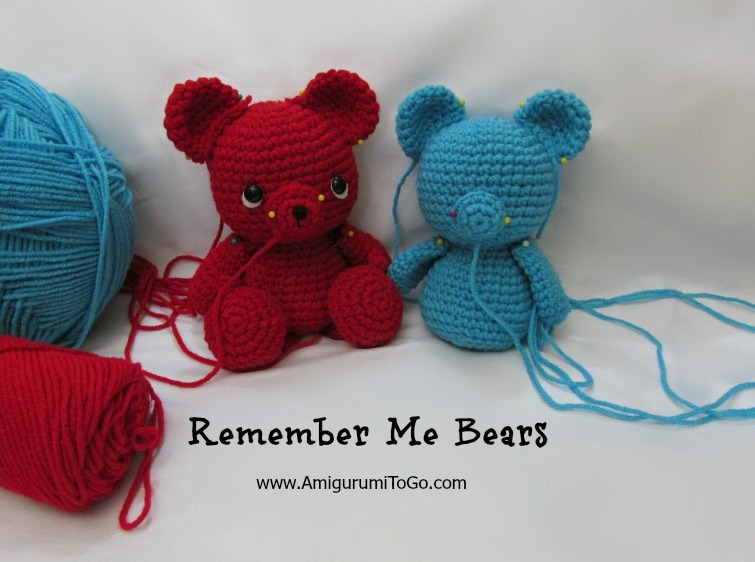 I've been working on the red and blue bears today. 4.0mm (G) hook. and Red Heart Super Saver yarn. And I was asked if the bears could be made without the toes and yes the toes are optional. Ok, that's the latest from my yarn stash..
come back soon to see if the Remember Me Bears are done! Love to see the same things made up in different colors. It's really inspiring. The bears are adorable.